Here’s another one of those appetizers that also makes a great dinner side – these are great served next to a hearty bowl of minestrone soup. Preheat oven to 400 degrees. Let dough come to room temperature then unroll it and separate into 12 sticks then cut each in half making 2 short sticks. Flatten each piece of dough to about a 2 inch wide piece. Sprinkle all the dough pieces with garlic powder. Place 1 t mozzarella cheese in the center. 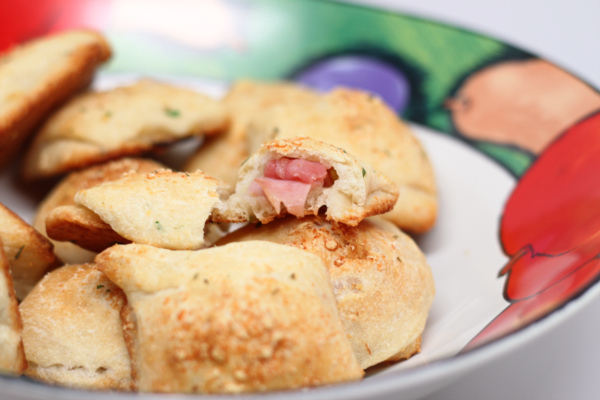 Fold ham and place over the cheese making sure to leave a border so you will be able to seal the calzones. Fold the dough over and pinch the edges to seal and make a little pocket. Place on a baking sheet and sprinkle with the parm and oregano. Bake 15 minute or until golden brown. 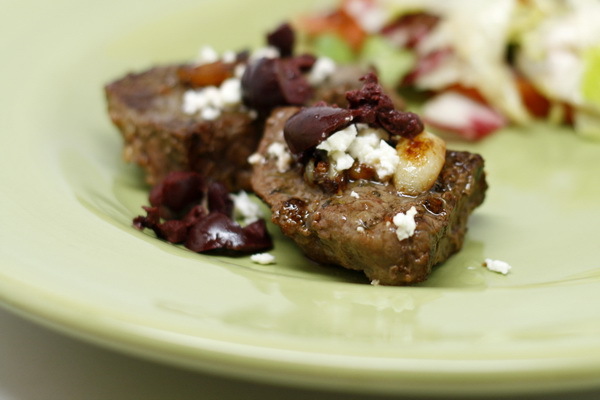 Greek food is so flavorful and fresh tasting. And many of the dishes are surprisingly simple to make. Using store bought tzatziki here is a time saver, but if you want to make it from scratch, it’s pretty easy. It’s just a mixture of plain Greek yogurt, garlic and cucumber pieces. You can skip the tzatziki if you don’t like it, then just substitute some hummus to add in more moisture. Spray a large skillet with Pam. Heat on medium high and add chicken. Sprinkle with the seasoning and cook 6-8 minutes or until lightly browned and done throughout. 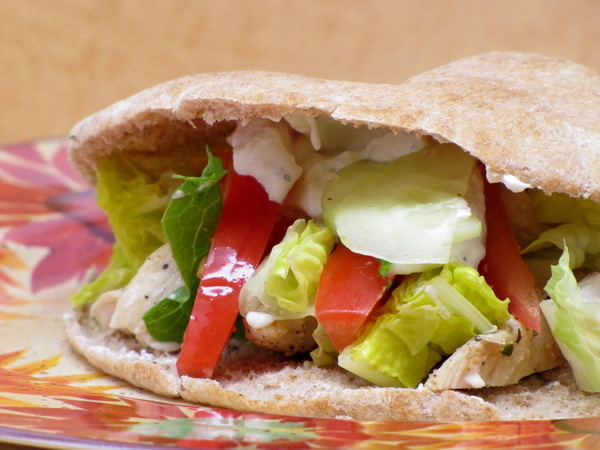 Slice pitas so you will be able to fill the pocket. Add chicken, lettuce, tomatoes, cucumbers, feta and tzatziki. I often slice the chicken up first so it gets more distributed throughout the sandwich. 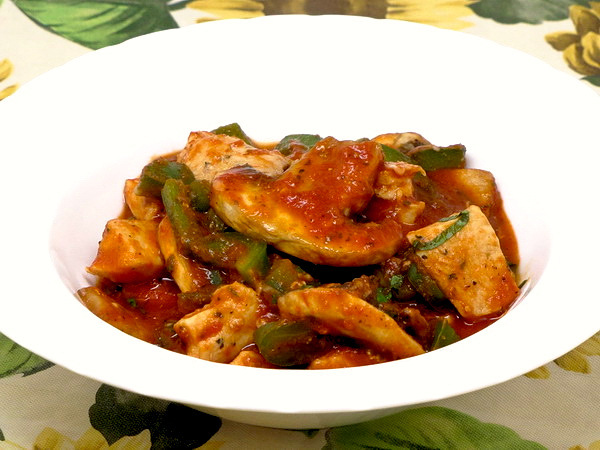 For years I used MY standard chicken cacciatore recipe and I was very wary of trying a new one. 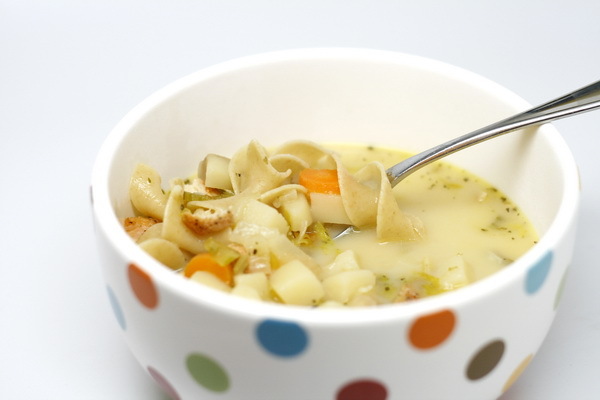 Let me tell you, this one really fits the bill for a tasty, flavor packed, nutritious version that will quickly become one of your favorites. Heat a large skillet on medium high and spray with Pam. Add chicken to pan with oregano, basil and red pepper. Saute until lightly browned, about 5 minutes. Add mushrooms and pepper and cook 5 minutes. Stir in sauce, salt, pepper, onion powder, garlic powder and water and bring to a simmer. Cover and reduce heat to low. Simmer 10 minutes. Remove from heat, sprinkle with cheese and fresh basil. Serve immediately. 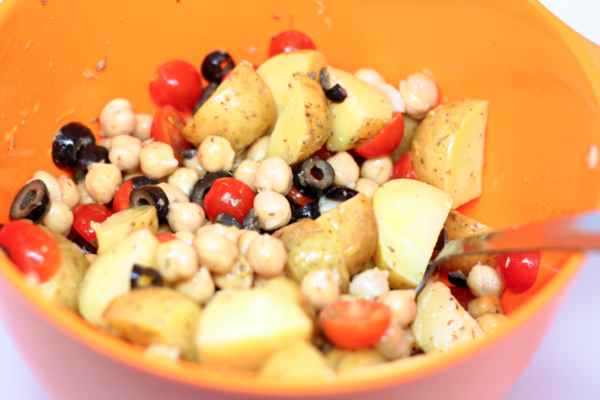 This is a great side dish – flavorful, healthy and easy to put together. Serve beside a lunch sandwich or next to BBQ’d meats at diner. To make the dressing whisk the broth, lemon juice, lemon zest, salt, pepper and mustard. Set aside. Steam potatoes 15-20 minutes or until tender. Place in bowl and pour over half the dressing. Mix well and then cool for 15 minutes. Add the rest of the ingredients and the rest of the dressing and mix well. Serve at room temperature. Thank you, thank you, thank you @ FiberGourmet ! 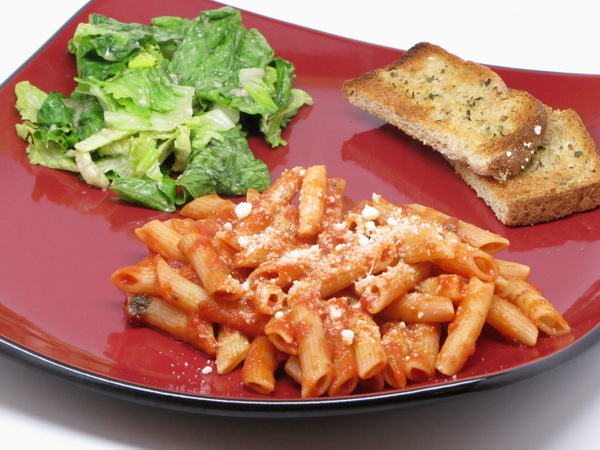 This lasagna comes in at just 325 calories per serving because of your noodles !!! 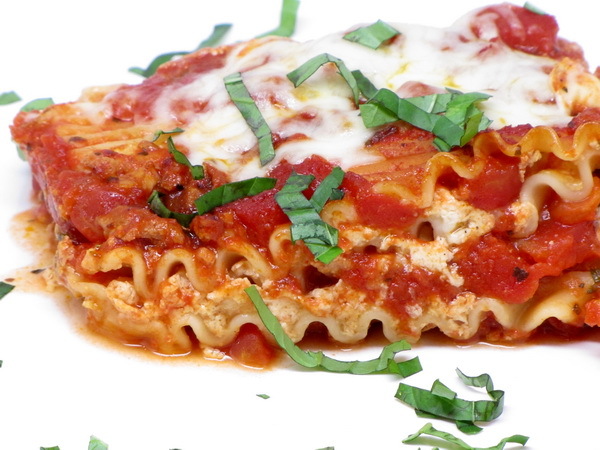 There is just no way to get close to a regular lasagna for under 400 calories – – until now ! The portion size is huge, the meal very, very tasty and I don’t even have to wait for ‘cheat day’. Preheat oven to 350 degrees. Spray a pan with Pam and cook turkey until almost done – make sure to crumble it as you cook it. Then add garlic and cook another few minutes. 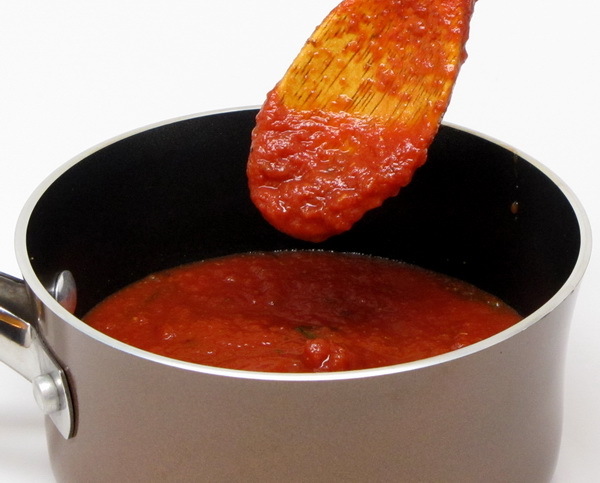 Add 2 T parsley, diced tomatoes, stewed tomatoes, tomato sauce, tomato paste, oregano, basil, salt, pepper, onion powder, and garlic powder then cook on low heat 45 minutes. 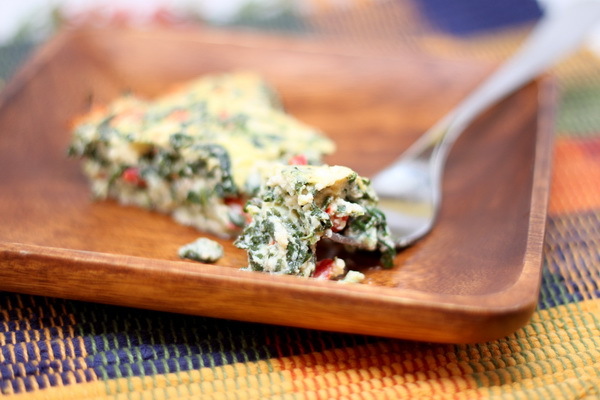 This is basically a crustless quiche. It is great served for brunch, lunch, as an appetizer, or even as a dinner side dish. So good ! Preheat oven to 350 degrees. Mix spinach and cheeses. Add eggs, peppers and spices. Pour into a 9 inch pie plate or cake pan sprayed with Pam. Bake 40 minutes or until the center is set. I like to use a glass pie plate for this, that way if the center does not set before the top is getting brown (which sometimes happens), you can slip it into the microwave for a few quick minutes to finish it up. This reheats great !